THIS YEAR IT GOT UGLY AND WE NEED YOUR HELP! Help REM decide who had the worst, most hideous, Ugliest Holiday Sweater. 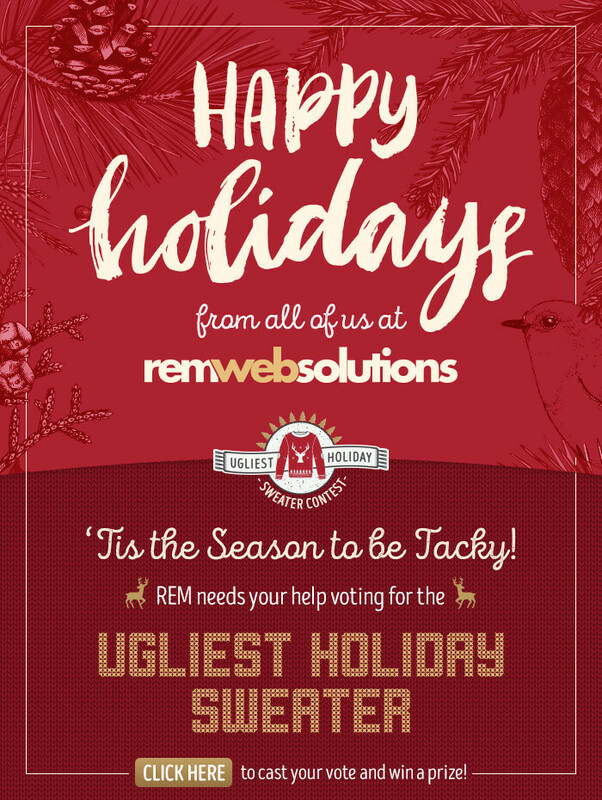 CLICK HERE (http://www.remwebsolutions.com/Happy-Holidays-2016.htm) TO SEE AND CAST YOUR VOTE FOR A CHANCE TO WIN A $50 VINCENZO'S GIFT CARD! As a friendly note: We will be closed on December 23, 26, 27 and January 2 to allow our team a chance to spend time with their team. We look forward to working with you in 2017.